Wow, that's some impressive pictures. I particularly like the one where Grip lighthouse virtually floats in the sky. A tip; take multiple images around the horizon and stitch them together in the computer. Many thanks for making the walk all the way up! ,it's weird that what is so ,take 5 hours to drive. From my home, it takes 10 minutes to drive to Freikollen. From my parked car, it took 2 hours up the steep mountain side, 1 hour of relax and coffee on the top and then 2 hours climbing down. 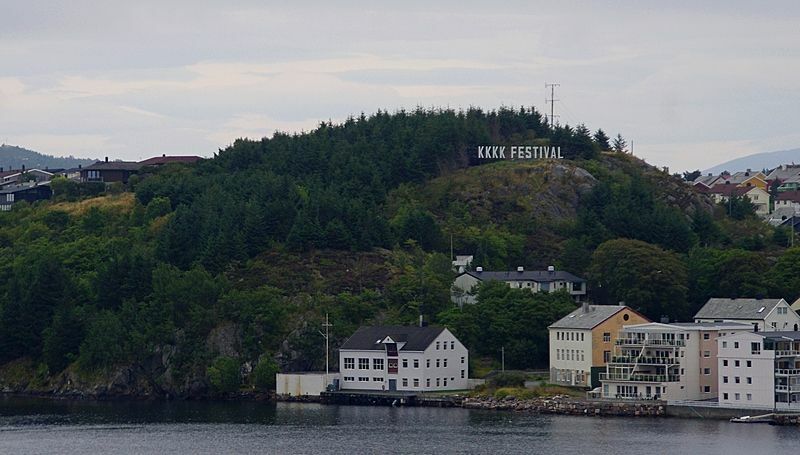 Today they changed the 'Hollywoodish' letters in Kristiansund again, this time for the KKKK Festival; Kristiansund Kirke Kunst Kulturakademi (Kristiansund Art Chruch and Culture academy Festival). It's going to be a long post if I have to explain the festival, so my hope is that you know of the artists and actors this year. Wonderful shots from Freikollen, S! Love those sea-salty images of the veteran-vessels too... well exposed and well captured! Thanks for the nice words, J-O! At around 7:30 Tuesday morning, there was another colour than dark grey on the sky. Have to capture these moments now that we have almost only bad weather here. 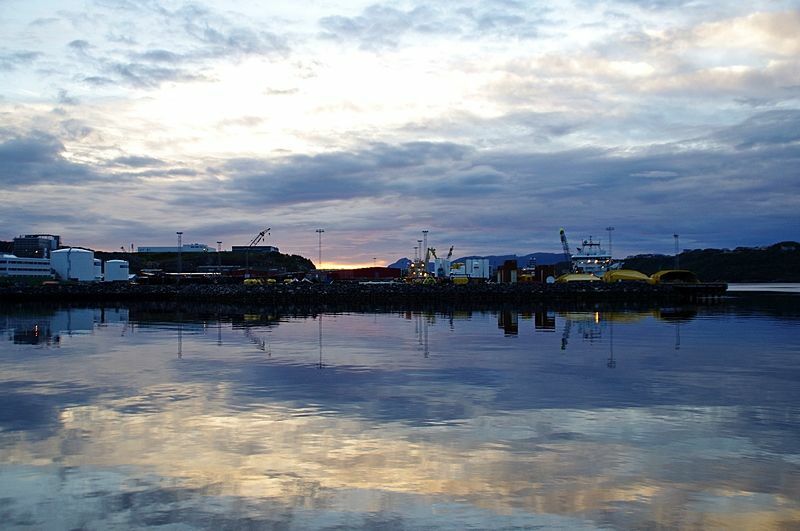 a great sunrise Svein,and a nice clam atmosphere,but couldend you wait for a DAF truck? but couldend you wait for a DAF truck? Haha...., yes, a few years back it would at least be easier to wait for a DAF truck, simply because there were more of them on the roads here. Nowadays, if I spot a DAF truck, it's likely to be a foreign one. well ,lets wait for another chance then. if you wait a few seconds i'll place the new DAF in the trucks thread. Today me and my family walked up to the 205 meters high Kvernberget. Half way up, looking toward southwest, Vestbase and Freikollen (629 m) looks like this. 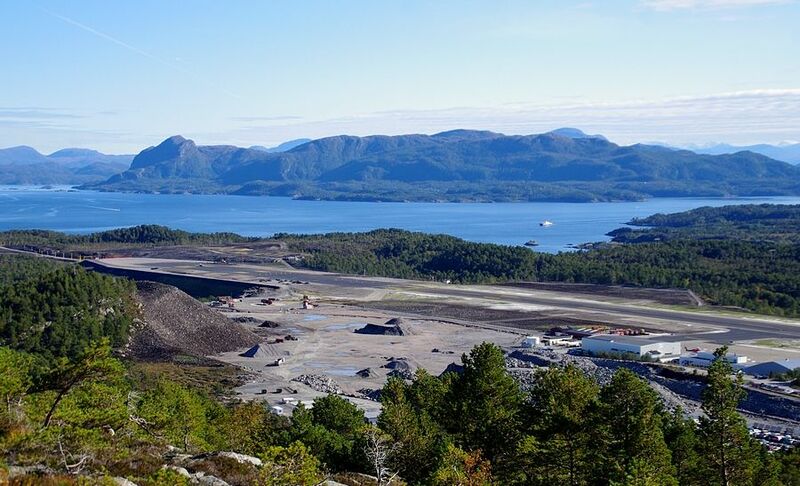 A small fraction of the Kvernberget airport can be seen to the left and the characteristic Bremsneshatten at Averøy and Stemshesten mountain near Bud can be seen in a distance. Towards east, we can see the extention of the runway. All buildings, firestation and hangars will be moved north in a couple of years, and will be placed where the gravelhills and parkinglot is today. 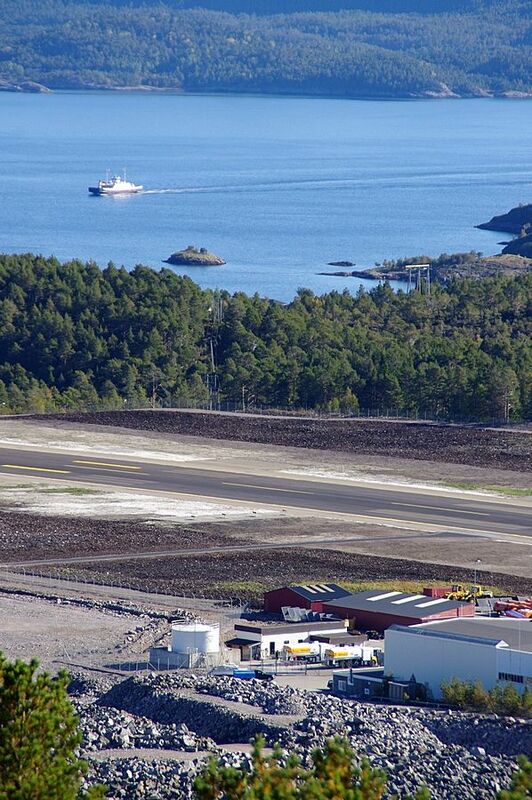 In short; there will be a completely new airport built in Kristiansund. 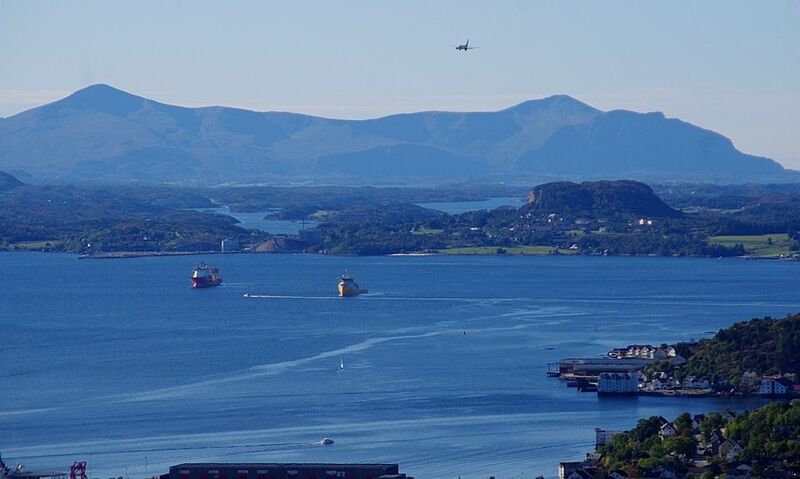 In this image you see the distant mountain Stemshesten, Bremsneshatten, a Boeing 737 from SAS inbound from Gardermoen, the huge NORMAND CLIPPER to the left and the yellow x-bow REEF LARISSA to the right. 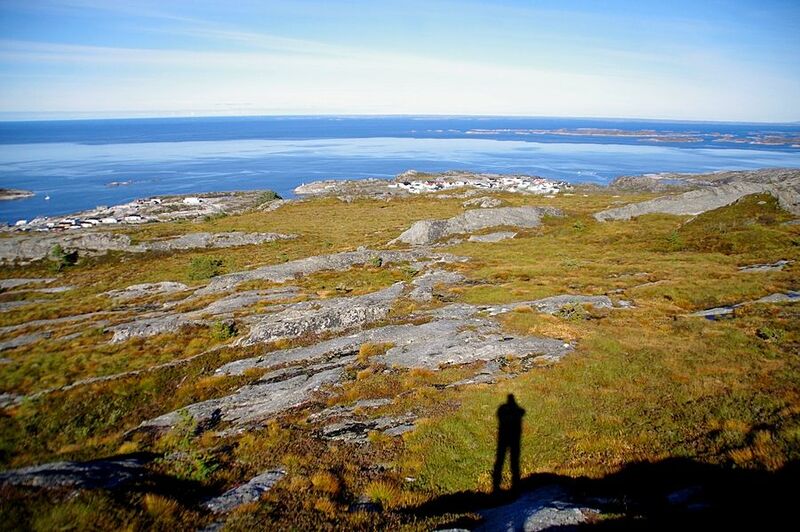 At the lower part you'll see a fraction of Vestbase and to the right is the Markussundet inlet to our harbour. High above, at 38.000 feet were one of the Emirates Airbus A-380 (A6-EDC) on its way from Dubai to JFK in New York. 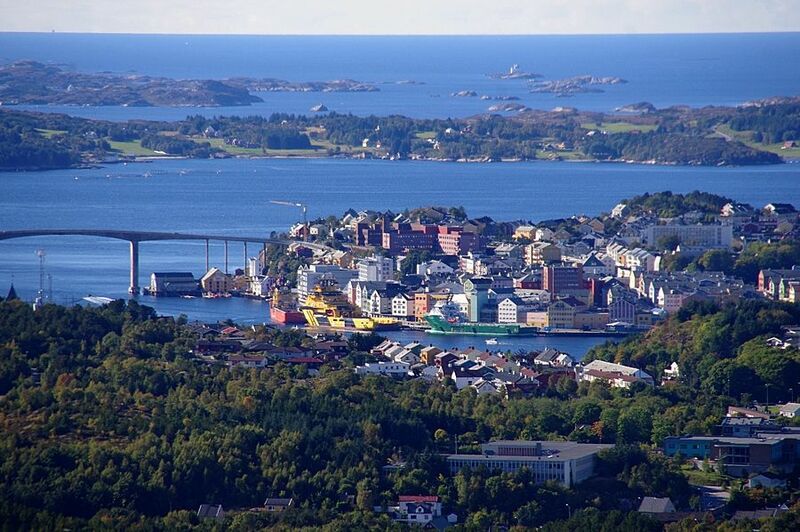 This is how the city of Kristiansund looks from the top of Kvernberget. Looking towards west. The left contrail on the sky there belongs to a passing Boeing 777 from Qatar Airways on its way as flight QTR51 from Doha, Doha to Washington, Dulles. 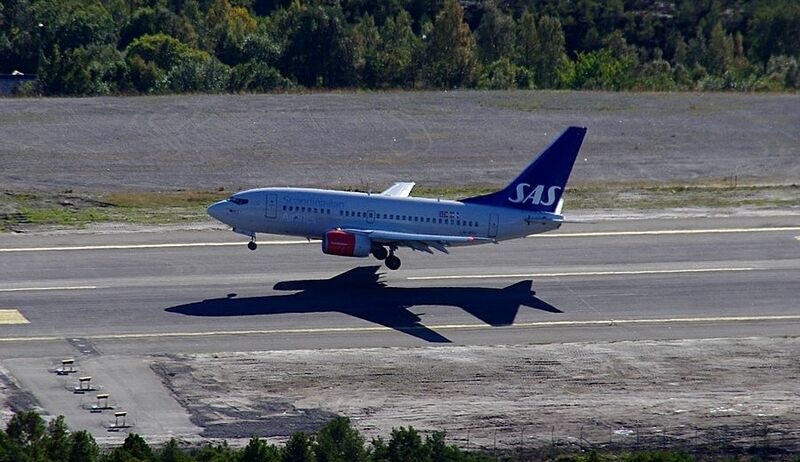 Aircraft reg. is A7-BAQ. The right contrail belongs to that Airbus A-380 pictured in the post above. That A-380 from the Emirates has flight nr. UAE201. 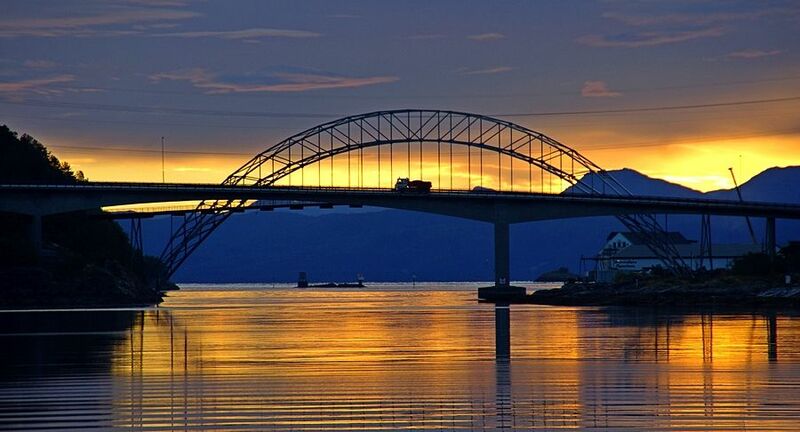 Here's Nordsundet inlet and the Nordsundet bridge between Nordlandet and Goma. 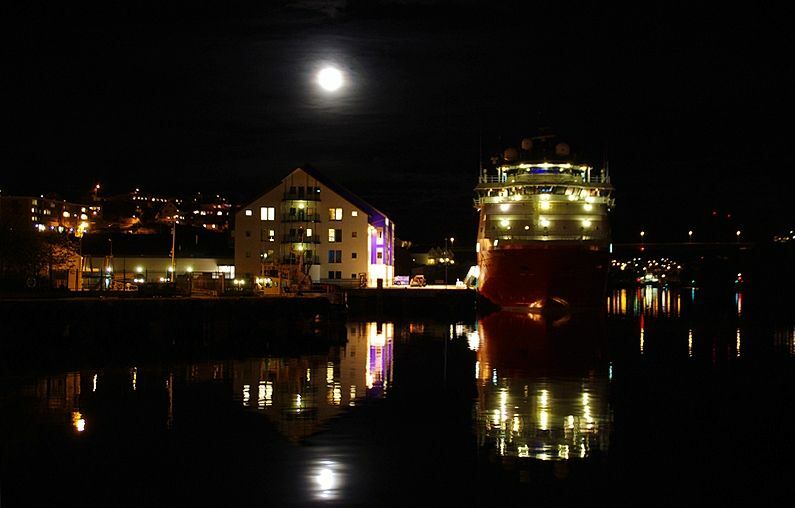 In the middle foreground you can see what was once the original Sterkoder ship yard, where the ferry NORDMØRE is moored. Langholmen (with the houses) and Møyslotten (checkpoint MOI on aeronautical charts) in the foreground, ship lane in the middle and island Smøla with its windpark in the distance. 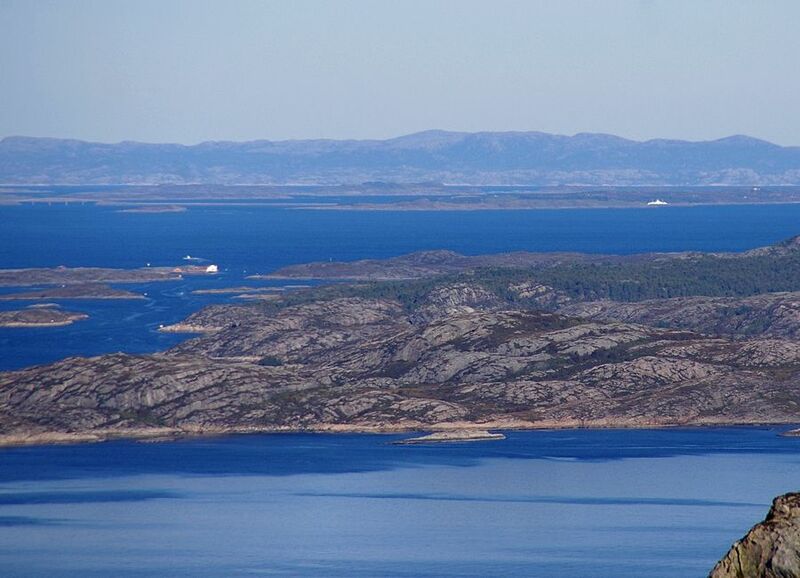 Zooming in, we see island Hitra in the distance, ferry EDØYFJORD presently at Edøy and the white ware house at Ringholmen in the middle to left of the picture. This ware house is now rebuilt as a hotel and restaurant facility. Last two from me for now, Kvernberget VOR..., crutial for aircraft navigation. Pilots can tune in on 113,8 MHz and veryfy by morsecode KVB. What a nice sunday afternoon walk. We did something similar, but i had not my camera with me. Will think about that next time. No sea and ships, and only model planes. But a respectable highway and a lots of cities, town and villages. Isn't that a little bit scary, a new airport, maybe a new container port nearby? The town will grow bigger and bigger, will it keep it's character? Thanks, Ralf...., yes, I belive the city will keep its character, because we are very focused on that here. 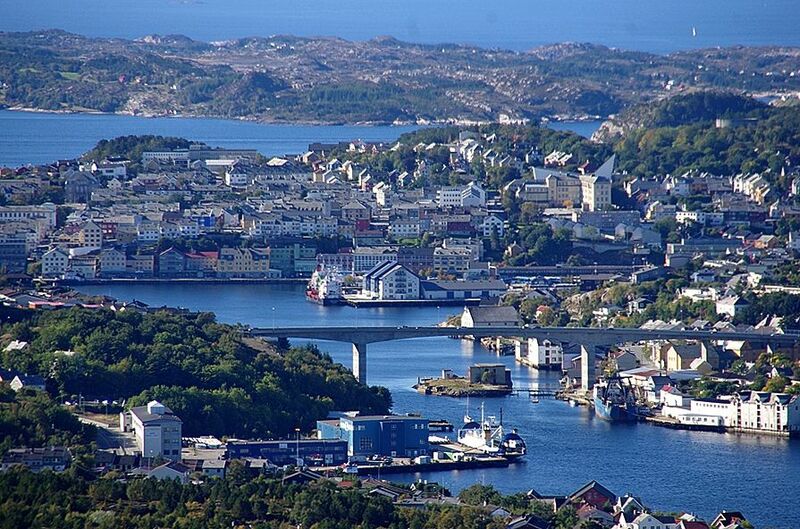 In time, one time in the future, I see a growth like they did in Stavanger in the late 1960s and through the 1970s. We have a huge discussion here now about infrastructure, and the city is running out of space (it's only about 30 square kilometers). 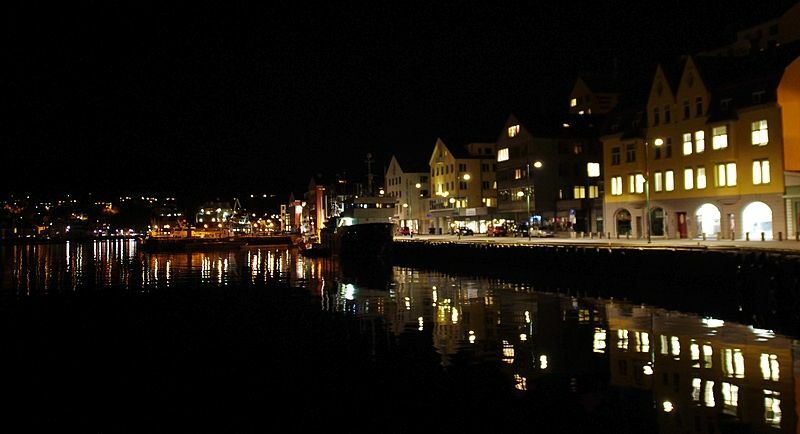 I think that result in a tighter cooperation with, and finally a merger with, our neighboring municipality Averøy. The container port is put on ice permanently, as the guy behind got sour (and now the lawyers come and take me?) . Loving all these recent of additions to the thread and for so many reasons –the documentation of the changes to the airport area, views of familiar places from unfamiliar angles, the feeling of being there on these walks –and (needless to say) the ever-excellent photography. That is one impressive shot: very well composed and executed. Absolutely spell-binding. 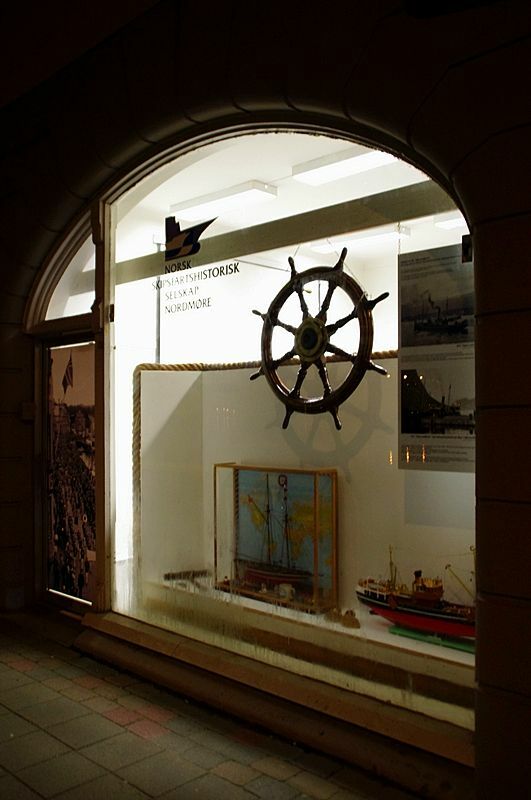 Tonight I attended a meeting at Norwegian Shipping Historical Society Nordmøre, where I'm the secretary..., to do the latest improvements to our new location. 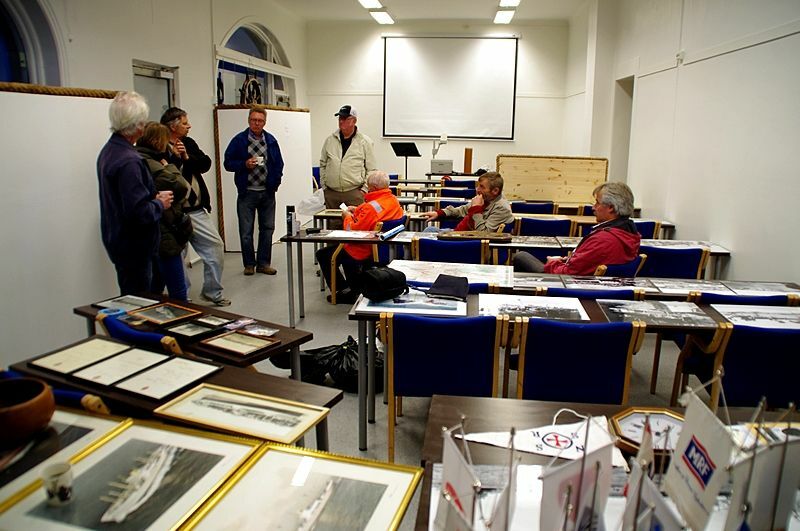 Inside, a few of the members who worked with the rehabilitation. Some chaos there now, but it will all be ok until the 18th.